Natural Skin Care Products and Natural Personal Care Products from the Mohawk Valley Trading Company are made without petrochemicals, sulfates, phthalates, parabens, synthetic or artificial fragrances, dyes, detergents, preservatives or any other harmful and toxic industrial chemicals, carcinogens, pesticides, reproductive toxins, plasticizers, degreasers, surfactants or hormone disruptors. • Shea butter, goat’s milk, natural plant oils including; organic hemp seed oil, olive oil, coconut oil, palm oil, castor bean oil, avocado oil, jojoba oil, wheat germ oil and other botanical sources such as vegetables, fruits, herbs, spices and nuts. • 100% natural plant-based essential oils distilled or pressed from fresh herbs, spices, leaves, flower petals, citrus peels, and other naturally fragrant botanical materials. • Raw honey, beeswax and bee propolis. "What Goes on Your Skin Goes in Your Body." Ingredients found in many cosmetics, beauty, skin and personal care products are harmful and toxic industrial chemicals, including carcinogens, pesticides, reproductive toxins, plasticizers, degreasers, surfactants and hormone disruptors. Much criticism has been aimed at cosmetic companies for misleading consumers by making pseudo-scientific assertions about their products that aren’t authenticated by any scientific proof. Skin care products and cosmetics do not need to be approved or reviewed by the U.S. Food and Drug Administration (FDA) before being sold to consumers. The FDA limits its regulations of cosmetics and personal care products to only the colors that can be used in them. Cosmetic companies have resisted regulation by the FDA (and other government agencies) and as a result, do not have to report injuries or recalls of their products, other than by voluntary means. Today, thanks to the internet, there is an increasing awareness among consumers of the toxicity of cosmetics, personal and skin care products and a growing demand for those containing natural and environmentally friendly ingredients as opposed to those with harmful and toxic chemicals such as sodium lauryl sulfate, petroleum based products and *parabens. As a result of this, many people are choosing natural skin care products due to the increase in health risks associated with using synthetic beauty and skin care products. Essentially, natural skin care involves the use of ingredients that are inherently found in nature, and produced in a manner that maintains the quality and properties of the ingredients. Natural skin care products use natural ingredients such as essential oils, flowers, herbs, roots, jojoba, shea butter, beeswax, witch hazel, and aloe vera just to name a few. The variety in natural ingredients available for use in natural skin care products allows individuals to custom tailor products to their specific skin type and needs (e.g. dry skin, oily skin, sensitive skin, allergies). Honey, for example, has anti-oxidant and anti-microbial properties. Algae, shea, egg, and jojoba act as moisturizers. Also, natural ingredients such as vitamin E, rosemary oil, neem oil, tea tree oil, honey, propolis, sea salt, vinegar, lemon juice or green tea extracts can be used as preservatives. 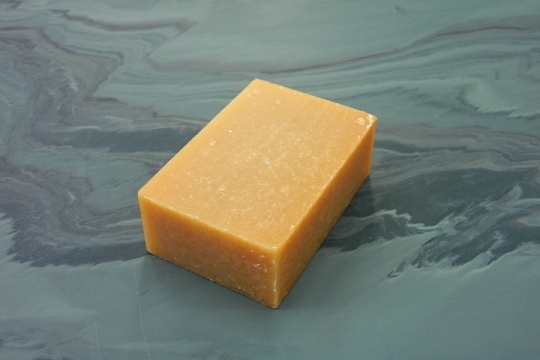 However, the term “natural” has unfortunately been overused due to it’s market value with promoting skin care cosmetics. Although it has a strong impact on consumers’ perception of a product, the FDA states it has no legal definition for the term “natural” and dermatologists say that it really has very little medical meaning either. Along with the misguided notion that “natural” is a clearly defined product quality, consumers also believe the FDA regulates the sale of skin care and cosmetic products before they are sold. As stated previously, the FDA does not regulate these products which is why the importance of reading and understanding the labels is even more important. When you have products made completely free of synthetic ingredients, it’s much easier for you to actually understand what it is you’re reading on their labels. This understanding enables you to deduce whether or not it is harmful or you may be allergic to what’s in it. 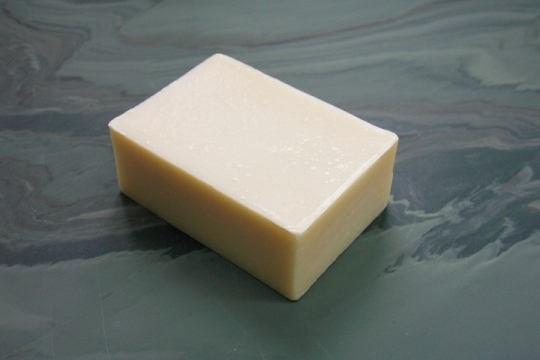 If you buy a bar of natural, handmade soap the ingredients list is likely to not only be much shorter than commercially manufactured soap, but also the ingredients are things you have actually heard of. Unless you’re a chemist, you’re not likely to know what it is you’re spreading all over your skin with mainstream brands. The other issue with commercial soaps is that they mass-produce for the masses. Although that sounds overly obvious and redundant, the point is that there are billions of people on the planet and those companies want to sell all of them their product. Unfortunately, there is no miracle cure-all drug, and there is no universal skin care product that works perfectly for everyone. It’s advantageous to use natural skin care products because not only are they less harmful and simpler, they are also made by small producers who can develop a variety of formulas to suit different skin care needs. What it comes down to is the need for consumers to pay attention to their body, be more aware of it’s needs, and not rely on mass-producers to decide for you. *Parabens are a type of preservative widely used in both cosmetics and food products though their use is becoming a more disputed topic because they have slight estrogenic activity, meaning they mimic the effects of estrogen and have been found in breast cancer tumors and are believed to have the ability to cause early puberty in females. and will update this page when we re-launch.